Plus, get free priority shipping on all printers. A revolutionary smart printer that works the way you need it. Get 15 prints free every month! Pay as you go after that or upgrade to another plan. Eligible on select printers, regularly priced $99 or less. Stylish, affordable options that give you professional quality. Dependable, cost-effective printers to meet your business needs. Count on high-quality results with HP printers for your home or office. Unrivaled performance for business printing. Limited time offers, plus free shipping and easy returns. HP Sprocket 2nd Generation – available in multiple colors! Make time with friends more memorable with the perfectly portable HP Sprocket Photo Printer and the HP Sprocket 2-in-1 - a smartphone and instant camera in one. Get wireless printing and lab-quality photos. Everyday printing that's affordable and easy. Save time with the easiest way to print from your smartphone or tablet. Print professional color for up to 50% lower cost per page than lasers,1 and use smart touch features to finish jobs fast. Rely on award-winning2 performance for premium-quality color and affordable black-and-white printing—perfect for businesses of any size. HP PageWide Technology delivers the lowest total cost of ownership in its class3 for professional-quality color documents at unbeatable speeds. Cutting-edge technology built specifically to help design professionals do their jobs with ease and excellence. Whether you want to create high-quality photos or print professional color documents, find the printer that meets your needs. 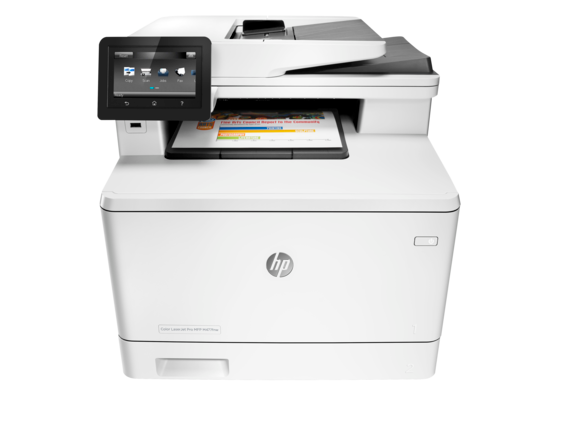 HP LaserJet Printers and MFPs deliver affordable document printing, rapid print speeds, and a range of security and management features. Ready to buy? See our current offers on HP printers. Looking for deals on business printers? Check out what&apos;s new in printing technology, products and supplies. Maximize the potential of your HP Printer with these parts and accessories. Compared with the majority of color laser AiOs < $300 excluding VAT as of October 2015; market share as reported by IDC as of Q2 2015. Cost per page (CPP) comparisons for laser supplies are based on published specifications of the manufacturer's highest capacity cartridges and long-life consumables. CPP comparisons for high-capacity HP ink supplies are based on published specifications of the manufacturer's highest capacity cartridges. CPP based on high-capacity ink cartridge's estimated street price and page yield. ISO yield based on continuous printing in default mode. For more information, see www.hp.com/go/learnaboutsupplies. HP was awarded the Buyers Lab (BLI) Color Printer/MFP Line of the Year Award for Winter 2016 and Winter 2016 Pick awards for the M577 series, the M452 series, the M477 series, the M527 series, and the M426 series. Total cost of ownership comparison based on 90,000 pages, manufacturer's published specifications for page yields and energy use, manufacturer's suggested retail price for HP hardware and supplies, average street prices for competitive devices, cost per page based on ISO yield with continuous printing in default mode with highest-available-capacity cartridges, long-life consumables of all color business printers $300  $800 USD and MFPs $400  $1,000 USD as of November 2015, excluding products with 1% or lower market share using market share as reported by IDC as of Q3 2015. Learn more at hp.com/go/pagewideclaims and www.hp.com/go/learnaboutsupplies. Looking for a versatile All-in-One printer with unrivaled performance, an easy to use home printer, or business printers with capabilities to meet your growing needs? Look no further than printers from HP. 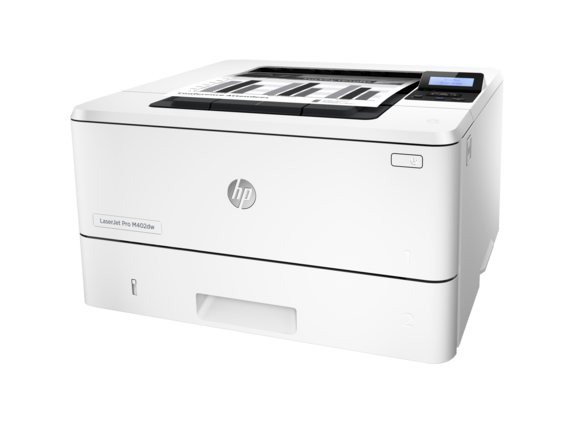 Whether it’s a stylish, affordable home printer you’re after that will give you professional quality, or dependable, cost-effective business printers to meet all your business needs without breaking the bank, HP has the right printer deals for you. From simple print jobs to complex workflows, HP has the printers to meet your needs. In the home and home office environment, we have a wide array of All-in-One printers designed to perform beautifully, and deliver the print quality you expect from HP. 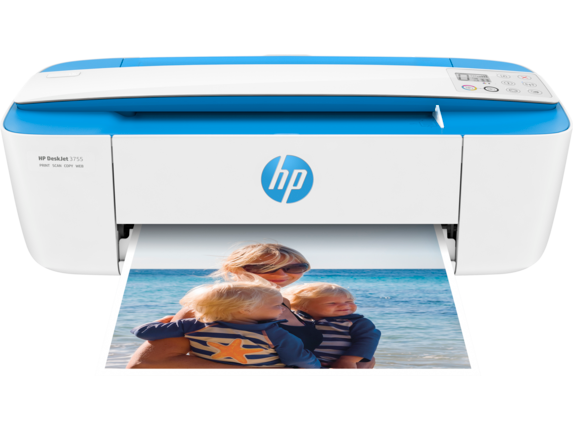 From HP OfficeJet All-in-One printers to HP Sprocket Photo Printers and everything in between, home and home office printing products from HP has you covered. Need a wireless printer that can print, copy, scan and fax? No problem. You want borderless printing with high yield ink capabilities? We’ve got that too. Want your printer to order Original HP ink when it’s running low, so you don’t have to worry about supplies? Many of our printers are eligible for HP Instant Ink, meaning you won’t run out of ink at the worst possible time. And be sure to check out the latest printer deals on our home and home office printers, so you can get the best value on the right product. For business, HP is synonymous with legendary quality and reliable printing performance. Whether you own a small business, manage a busy branch location, or run a large department, you can count on HP for dependable, cost-effective printers to meet your needs. Want to make big impressions for less? HP OfficeJet Pro printers feature functionality at a great value, while HP PageWide business printers offer a low total cost of ownership with incredible speed. In a larger office setting? HP LaserJet Pro printers provide legendary performance, with leading security and solutions offerings. And, with HP Managed Print Services, we can help you maintain your print fleet, improve your printing workflows and much more, giving you the freedom to manage your business. As business printing needs change, HP is changing with them. The next generation of printing is smart, secure, in color, and completely transforming the copier experience. Leading the charge is the HP Color LaserJet A3 Multifunction printers. Our A3 MFPs and printers offer professional-quality results you expect from HP, maximum uptime and minimal interruptions, and the world’s most secure printing(1). Is that a printer in your pocket? Why yes, it is. The HP Sprocket Photo Printer to be specific. And it lets you print instant stickable photos from virtually anywhere in seconds, customize photos with borders, emojis, and more, and easily print your favorite social media photos(2). Looking to take your printing to another dimension? HP’s 3D printing is leading the way to an entirely new revolution in digital prototyping and industrial transformation. From full color 3D printing with voxel level control to metals printing, we offer solutions tailored to a wide range of environments — from small/medium sized product development teams to design firms, universities and more. From All-in-One printers to large format printers & digital presses, and everything in between, HP can help you find the right products and solutions for your exact needs. Be sure to check out our limited time printer offers for the latest specials, plus free shipping and easy returns. With so many product options and printer deals to choose from, and legendary HP printer quality, the choice is clear. (1) Enterprise models only. Based on HP review of 2016 published security features of competitive in-class printers. Only HP offers a combination of security features that can monitor to detect and automatically stop an attack then self-validate software integrity in a reboot. For a list of printers, visit hp.com/go/PrintersThatProtect. For more information: hp.com/go/printersecurityclaims. (2) HP Sprocket app required.